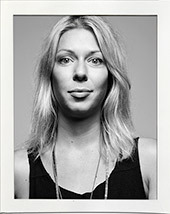 Linda Albright is a Swedish Art Director & Designer working in New York and Stockholm. at Parsons, The Art Institute of New York and Forsbergs. She is also known as one of the members of the dj duo The Ostrom Sisters.